The power of storytelling from a marketing perspective is its ability to send brand messages in an engaging way. The digital age and the rise of social media has brought in the future of storytelling for brand marketers. With shorter attention spans, and a plethora of social platforms and content for audiences to connect with, traditional storytelling techniques don't always capture a digital audience. Social media storytelling is the concept of telling different aspects of your story across social media. Social media is especially well suited for visual storytelling and visual storytelling is a big part of a social media marketing strategy. Platforms like Instagram and Snapchat bring the visual aspect of your story to the foreground. Photos are especially useful on these kinds of social media sites, as we mentioned a few weeks back in our article on social media storytelling. Snapchat and Instagram have some unique features that make them more similar to a natural conversation than other social media platforms. While most social media posts last until they are manually deleted, direct snaps and photos sent directly to people on Instagram can last for a limited or unlimited range of time. Additionally, both of these social media sites have a story mode. The story feature is a compilation of photos and videos that a user pick. They last 24 hours and then they disappear so they show current content. Stories also have to be viewed in the intended order meaning they can have a narrative arc, which is helpful in telling a story. Fleeting direct photos and videos, and the 24-hour story mode work together to create an air of authenticity on these social media sites. Since the content won’t last forever, it’s expected that it takes less time to create, making it at least feel more “real”. With so much overlap in the features of Snapchat stories and Instagram stories it can be difficult to choose which story mode you or your brand should use. Let’s break down the similarities and differences between the two. 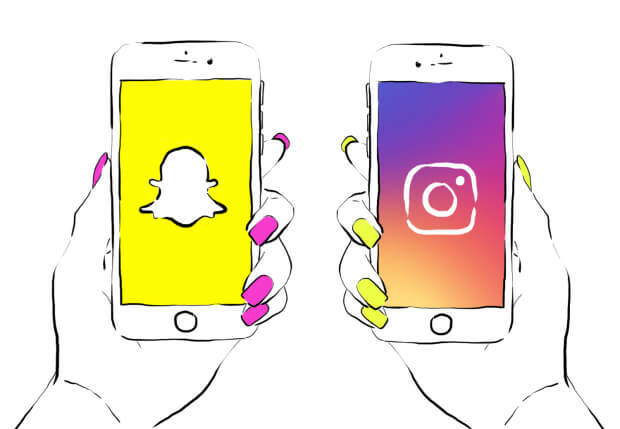 Both Snapchat, and Instagram cater to millennials, but have slightly different user demographics. Instagram has a wider age range of users with the majority being 18-44 years old. Despite this, they still have a fair number of users that are outside that age range. In contrast, the vast majority (78%) of snapchat users are between 18 and 24. Snapchat users are also 70% female, and Instagram users are more evenly split between male and female. 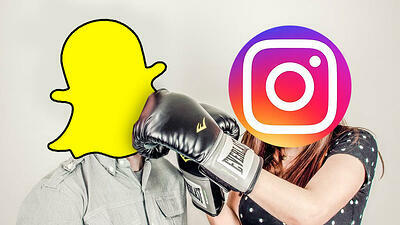 Snapchat and Instagram also differ in the amount of daily active users. Snapchat has a little less than 200 million daily users, and user growth has slowed since Instagram announced story mode in 2016. 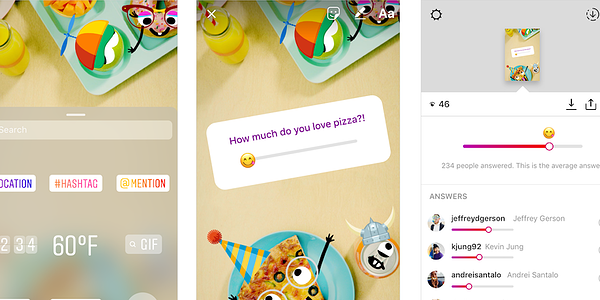 Instagram has a much wider selection of features on its app when compared with Snapchat, but just looking at the comparable feature, the story mode, Instagram has 400 million daily users. 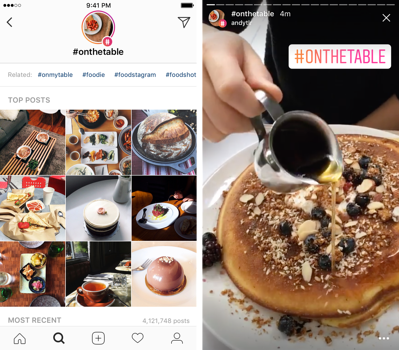 For brands using stories to connect to their audience, they can use branded content or user-generated content. The advantage to using branded content is that it develops your brand personality. User-generated content is great for providing authenticity to your story. As mentioned before, Snapchat and Instagram are great for sending genuine, natural looking messages. When you show user-generated content on your story it helps authenticate the rest of your narrative as true. The created content you can share on Snapchat or Instagram stories is more or less the same just with slight variations. On both the medium of content is photos or short videos either taken in the moment or chosen from your camera roll. On both you can overlay your photo or video with a filter, text, a drawing or stickers. So, what are the differences? Instagram has a larger selection of photo filters that overlay the entire picture. It has all the signature Instagram filters for taking a photo more attractive plus a few face recognition filters. Snapchat’s specialty is the face recognition filters that morph the user into a different looking person and filters that add another AR element to the photo. Snapchat also owns Bitmoji, a company which allows users to create cartoon characters, that can be added as a sticker to a piece of content. For videos, features that make snapchat unique are the ability to change the speed of your video and to change the way voices sound within it. On Instagram, a popular feature is creating a boomerang video which shows a short video playing through and then going in reverse on a loop. Another cool feature of Insta story mode is that you can add music to your post. Influencer marketing occurs on both Snapchat and Instagram. Influencer “take overs” are when a prominent social figure takes over a brands story for the day to show audiences behind the scenes of their life or promote a product. Social media influencers typically have a large following of viewers and strong personal brands that match with the company they are collaborating with. Brand influencers can be a powerful way to gain followers, build brand awareness, or merge audiences. On Instagram and Snapchat, you can set your account so that people can share your story directly to other people. This feature turns your audience into storytellers of their own. By allowing your audience to act as the storyteller it expands your viewers to those your followers send it to as well. 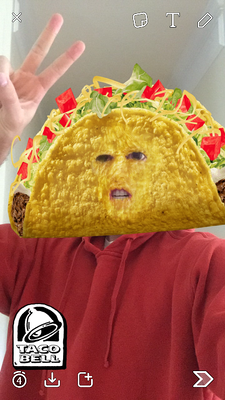 Branded filters on snapchat get people involved in your brand story. This is a great way to expand your brand audience and get people interacting with your brand. 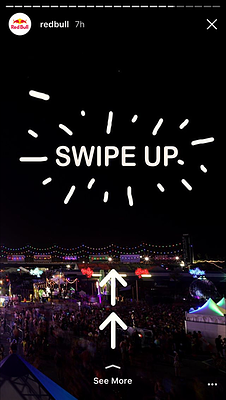 Brand sponsored snapchat filters can be associated with location or audience. 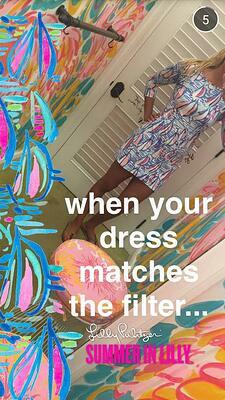 For example, sometimes when you are in a store or near one you can access the geofilter to share your experience. Many times a brand filter will represent an aspect of a brand’s identity, which helps expand your brand narrative. Snapchat and Instagram also allow you to link your website or blog post to your story. The feature makes it so when viewing content on a story you can swipe or tap it to be sent to the web link. On snapchat anyone can link a site to their story, but if you are on Instagram you can only link a website if you are set up as a business account and have over 10,000 followers. 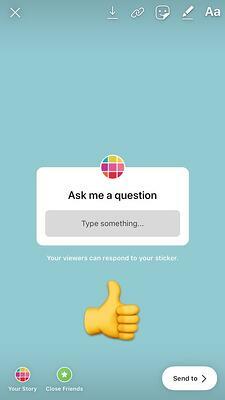 A feature that is unique to Instagram stories is the ability to add polls, questions, and ratings onto you story. Interactive features like these allow your audience to engage with you in a less formal way than sending a direct message. Asking for audience opinion also adds to the “authentic” feeling of this medium. On Instagram you can link a location or hashtag within a story post. This means you can link a series of content (both story content or normal posts) together either by a hashtag topic or by the location. If you search Instagram for the hashtag your story will be tagged in it alongside other posts with that hashtag. This merges the story aspect of Instagram with the regular news feed content.